By now the British Army has pressed the German Army back beyond the villages of Mametz and Fricourt and is now facing them across the shallow valley to the south of Mametz Wood. XV Corps is given the task of capturing Mametz Wood this morning. The 38th (Welsh) Division forms part of XV Corps and by the 5th July they had moved into trenches from Bottom Wood to the edge of Caterpillar Wood and from there they can see the task that faced them. Mametz Wood is the largest Wood on the Somme covering an area of over 200 acres with a maximum length of about a mile. It is situated on a low spur of the Bazentin Ridge and overlooks the valley separating the two forces. As a result any attack made by the British forces would be, of necessity, initially go downhill from their positions and then uphill to make contact with the enemy in the Wood itself. The Germans are also able to bring flanking fire to bear on any approach to the Wood from Flatiron and Sabot Copses to the east. Further, the German second line is 300 yards beyond the northern edge of the Wood and hence it can be reinforced easily since much of the movement would go unobserved through the mass of the Wood. To the west is the area held by the 17th Division. To the east is the 18th Division from Caterpillar Wood eastwards. The capture of Mametz Wood is to be the responsibility of the 38th Division though support from the 17th Division is absolutely necessary. The plan for the attack is that the 17th Division will attack Acid Drop Copse and the left flank of the Wood and act as support for the 38th Division whose task is to attack the Hammerhead. Both divisions are to advance and then turn north to sweep through the Wood. In the 38th Division the responsibility for the attack is to rest on the shoulders of Brigadier-General Evans and the 115th Brigade. His reconnaissance of the ground has made it clear to him that an attack on a narrow front is all that is possible and he decides that this would be no more than one battalion wide. He chose the 16th Welsh Regiment. The C.O. of the 16th Welsh Regiment, Lieutenant Colonel F W Smith, realizes immediately that his right flank will be exposed to fire from the area of Flatiron Copse and he suggests that the plan be altered to allow him to attack at first light. This is not possible because the attack has to be coordinated with the 17th Division. When the attack takes place two battalions are used. The 11th South Wales Borderers attacks with its left flank as close to Caterpillar Wood as possible and the 16th Welsh Regiment are tight against their right flank. Each battalion will have no more than a 250 yard frontage for the attack. It is planned that the problem of flanking fire is to be eased by the use of a smoke screen. Several things conspire against the attack. It rains prior to the attack and movement becomes very difficult to move in the resulting mud. The attack is planned for 08:30 and the 38th Division attack though the planned smoke screen does not appear. The South Wales Borderers and Welsh Regiment rise to their task as soon as the artillery stops and immediately come under fire from the German machine guns in Flatiron and Sabot Copses. Casualties mount and the attack stops 250 yards short of the Wood. By 10:00 the situation deteriorates as the Germans increase shell and machine gun fire across the approaches to the Wood. The 10th South Wales Borderers are ordered up in support but do not reach the battle area until after noon. Artillery support is offered but actually falls on the men of the 16th Welsh Regiment as they try to push home the attack. The arrival of the 10th South Wales Borderers does help a little in the afternoon but their C.O., Lieutenant Colonel Sidney John Wilkinson DSO, is killed at age 38 in Caterpillar Wood as he brings his men forward. Gradually the attack slows. Evans received another order telling him that an attack is to be carried out at 17:00 when the Wood is to be entered at all costs. Evans reports the situation to Divisional Headquarters and they in turn report to Corps Headquarters who orders a withdrawal to allow reorganization. The attack has failed and cost 400 casualties in the three battalions engaged and nothing has been achieved as these battle weary units are withdrawn. Brothers and Lieutenants in the Welsh Regiment Arthur and Leonard Tregaskis are killed together in Mametz Wood. The 33-year old Leonard is one year older than his brother and they will be buried next to one another in Flatiron Copse Cemetery, Mametz Somme. Company Sergeant Major Richard Thomas (Welsh Regiment) is killed in action. He is a Mountain Ash Rugby Football player and Welsh Rugby International. Private Albert Thomas Oliver (Welsh Regiment) is killed at age 23 three days before his brother is killed. Privates Charles and Henry John Morgan are killed together. Charles dies at 22 while Henry is 26. South Wales Borderer’s losses include Lieutenant Thomas Pryce Hamer (South Wales Borderers) who is killed at age 33. He is the Captain of the Llamidloes Football Club and is a Welsh Amateur International. Haig is unimpressed by the performance of the Division and at the end of the day Lieutenant General Horne (XV Corps) informs Haig that he is not happy with the conduct of General Phillips who will be removed from command in two days. The trawler Albatross sinks the German submarine U-77 in the North Sea. Tanga is occupied almost without opposition by a British force. The bodies of over 200 officers and men who have fallen in an earlier attack are found buried in various places and reburied in Tanga Memorial Cemetery. Lieutenant Colonel Arthur Mervyn Holdsworth (commanding 2nd Royal Berkshire Regiment) dies of wounds received on the 1st at age 40. He is the eldest son of Arthur Frederick Holdsworth JP and he played cricket for Berkshire and Devon. He was on the Regimental Polo Team which played at Madrid on the occasion of King Alfonso’s Coronation. 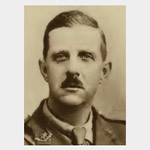 Captain Oswald Eric Wreford-Brown (Northumberland Fusiliers) is dies of wounds at age 39 from an artillery shell in the Quadrangle trench Fricourt received two days prior. He was a member of the Middlesex Cricket Club and a stockbroker and his brother was killed in May 1915. Captain Frederic Grainger Hall (Cheshire Regiment) is killed in action at age 25. He is the son of the Reverend Frederic Hall. Captain Arthur Owen Trefusis (North Lancashire Regiment) is killed at age 32. His brother will be killed four months and they are sons of the Right Reverend Robert Edward Trefusis Bishop of Crediton. Captain George Guy Hermon-Hodge (Royal Horse Artillery attached Royal Field Artillery) dies of shrapnel wounds received in action at age 32. He is one of two sons of the 1st Baron Wyfold to be killed in the Great War. His younger brother was killed in May 1915. Captain Geoffrey Asteley Burney (Scottish Horse attached Royal Flying Corps) is killed at age 32. When the war broke out he was working for the British Museum in Siberia. Captain Robert Leavitt Knubley MC (Wiltshire Regiment) dies of wounds at age 28. He is the son of the Reverend Canon Edward Ponsonby Knubley. Captain John Hamilton Betts MC (Manchester Regiment) is killed at age 18. He is the son of the Reverend John Arthur Betts Rector of Stokesby who will lose another son in September 1917. Captain Herbert Graham Barber MC (York and Lancs Regiment) is killed at age 31. His brother will be killed in November 1917. Lieutenant John Gerard Harold-Barry (Munster Fusiliers) is killed at age 20. He is the grandson of John Harold Barry JP DL who lost a son last year. Lieutenant James John Frost (Northumberland Fusiliers) is killed at age 21. His brother was killed last September. Lieutenant Ernest St Clair Tulloch (Northumberland Fusiliers) a Rhodes Scholar is killed at age 22. Lieutenant William Nimmo Brown (South African Regiment) is killed becoming the first South African officer killed in France. His brother will die on service in September 1919 and they are sons of the Reverend William Nimmo Brown. Lieutenant Wilfred Ernest Waud (Northumberland Fusiliers) is killed at age 40. He is the son of the Reverend S W Waud. Lieutenant Philip Crowley (Lancashire Regiment) is killed at age 31. He is the son of the Reverend Henry Ernest Crowley Rector of Cambria. Lieutenant Neil Grant Crawhall (Manchester attached East Lancashire Regiment) is killed in action. He is the son of the Reverend Edward Isaac Laroche Crawhall Vicar of Ganton who lost another son in March of this year. Second Lieutenant Ronald Woodhouse Taylor (Northumberland Fusiliers) is killed at age 20. He is the son of the Reverend George Robert Taylor Vicar of St Michael’s Byker. Second Lieutenant Arthur Whitmore Isaac (Worcestershire Regiment) is killed at age 42. He played first class cricket for Worcestershire from 1899 to 1911. His brother was killed in May 1915. They are sons of the late John Swinton Isaac DL. For more than a decade Isaac played for Worcestershire although only in 1903 did he have a long run in the side making fourteen appearances. However, he made only 279 runs (at an average of 13.28), and indeed this was the only time he reached even 200 runs in a season. He made three half-centuries in his career, the highest being the 60 he hit against Hampshire in 1904. Second Lieutenant Roy Duncanson (Duke of Wellington’s Regiment) is killed in action. His brother will be killed in October 1917 while his sister will drown in the sinking of the Osmanieh in December 1917. Second Lieutenant Hubert Vernon Anchitel Corfield (East Lancashire Regiment) is killed at age 20. His brother will be killed next July and they are both sons of the Reverend Egerton Corfield Rector of Finchampstead Berks and grandsons of the late Reverend T A Anson. Second Lieutenant Charles Millington Sing (Royal Sussex Regiment) is killed at age 27. He is the son of the Reverend E J Sing and the Assistance Native Commissioner for Northern Rhodiesia. Second Lieutenant Francis John Hollowell (Worcestershire Regiment) is killed in action at age 20. He is the son of the Reverend William Hollowell. Sergeant Edward Walter Mofflin (Australian Infantry) dies of wounds. His brother was killed on Gallipoli in June 1915. Sergeant John Joseph Bell DCM (Cheshire Regiment) is killed at age 26. He is the second of 4 brothers to lose their lives in the Great War. Sergeant John William Griffiths (Manchester Regiment) is killed at age 21. His brother will be killed in October 1918. Corporal Vivian Drake (Wiltshire Regiment) is killed at age 19. His brother will be killed in October. Lance Corporal Wilfred Keeling (Sherwood Foresters) is killed at age 21. His brother will be killed in July 1917. Lance Corporal Harry Brain (Sussex Regiment) is killed at age 17. His father died of wounds in April 1915 at age 35. Private Arthur Chilton (Sherwood Foresters) is killed. His two brothers will also lose their lives in the Great War the first in only seven days. Private Archibald Alfred Thorpe (Army Veterinary Corps) dies of meningitis at home at age 20. His brother will be killed in December 1917. Private Harry Badcock (Suffolk Regiment) dies of wounds received on the 1st at age 18. His brother will die on service in November of this year. Private James Boulton (Cheshire Regiment) dies of wounds received on the 3rd. His brother will be killed in April 1917 in Mesopotamia. Private Harry Seabridge (North Lancashire Regiment) is killed at age 26 His brother will be killed in eight days. Private Charles Stuart (York and Lancaster Regiment) is killed. His brother will be killed in September. Munitions worker Dorothy Maud Willis dies at age 23. Her sister will die serving in the Women’s Royal Air Force in October 1919 and be buried in the same grave. Captain Arthur Murdo Maxwell Robertson-Walker (Royal Fusiliers) is killed at age 35. He is the second son of James Robertson-Walker JP, of Gilgarran, Distington, Cumberland and a Member of the London Stock Exchange. He was an excellent cricketer, and well-known golfer, especially at Sandwich. Captain Robertson- Walker joined the Royal Fusiliers in December, 1914, became Adjutant of his Regiment in July, 1915, and was promoted Captain in April, 1916. He went to the Front in May, 1915. He was mentioned in Sir Douglas Haig’s Despatches in 1916, and recommended for promotion. He is killed while leading with his Colonel an attack on the German trenches at Ovillers. The Battalion is caught by enfilading machine-gun fire, and both he and the Colonel fall, being killed instantaneously. The Battalion reaches their objective, and, though there were only 70 of them left, they return with over 80 prisoners. Second Lieutenant Alban Charles Philias Arnold (Royal Fusiliers) is killed in action at age 23. He is the son of the Reverend Charles Lowther Arnold Vicar of Holy Trinity Fareham and he played cricket for Cambridge University and the Hampshire Cricket Club and it was stated by Wisden that “he would probably have developed into a cricketer of very high class”. His brother will be killed in March 1918. Second Lieutenant Charles Plantagenet Burdett (Royal Fusiliers) is killed at age 26. He is the grandson of the Reverend Henry Burdett. CSM William Philo (Royal Fusiliers) is killed at age 34. He is a Middleweight Professional boxer who won a bronze medal in at the 1908 Summer Olympics. Lance Corporal Thomas Charles Simpson (Royal Fusiliers) is killed at age 30. His brother was killed last January. Private Thomas Howarth (Royal Fusiliers) is killed at age 24. His younger brother will be killed serving in the Manchester Regiment in two days. Private Edward John Richard Thomas (Royal Fusiliers) is killed at age 32. He is a Welsh International Rugby union player for seven clubs who earned four caps between 1906 and 1908. Private John Joseph Paulson (Sherwood Foresters) is killed at age 23. His brother will die on service in India in September 1918. Captain ‘the Honorable’ Roland Erasmus Philipps MC (Royal Fusiliers) is killed at age 26. He is the son of the 1st Viscount St David’s who has lost another son in 1915.